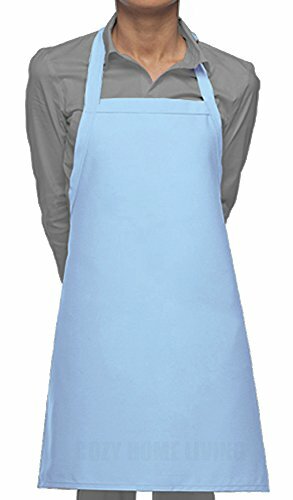 The cutest ever and useful water-proof apron. Essential and another added layer of protection at work, in the kitchen, yard, or garage. Sleek surface for easy wiping, cleaning and dish washing. Lined with linen on the inside for comfort. Ships fast in genuine Cozy Home Living packaging. 100% Satisfaction guaranteed or your money back. STAY DRY & STAIN FREE: Protects you from all dirty jobs, cooking, food prep, dish washer, fishing, garage work, butcher, pet grooming, farming, cleaning and gardening. Shipped in hassle-free easy-to-open genuine Cozy Home Living packaging. If you have any questions about this product by Cozy Home Living, contact us by completing and submitting the form below. If you are looking for a specif part number, please include it with your message.